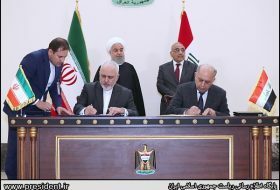 September 23, The Iran Project – Following a deadly terrorist attack on a military parade in Iran’s southwestern city of Ahvaz on Saturday morning (Sept. 22), Iranian officials along with world leaders deplored the terror move, saying terrorism is condemned in any form and content. At least 29 people were killed and 70 others wounded in Ahvaz on Saturday, when terrorists opened fire on people from behind a viewing stand at a military parade held to mark the former Iraqi dictator Saddam Hussein’s invasion of Iran in the 1980s. 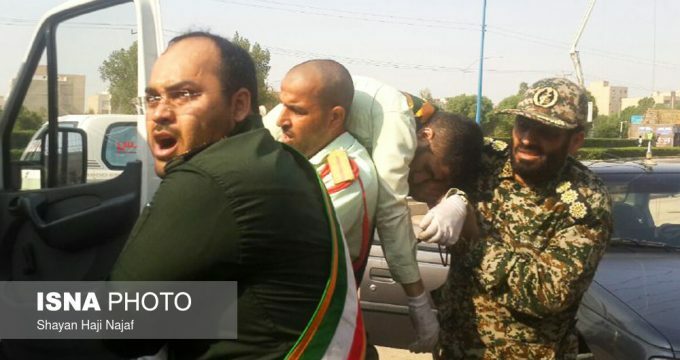 According to IRNA (the Islamic Republic News Agency), the dead and wounded were both military personnel and civilians including a journalist who were watching the parade. claimed responsibility for the assault. “The terrorists disguised as Islamic Revolution Guards Corps (IRGC) and Basiji (volunteer) forces opened fire to the authority and people from behind the stand, leaving a number of innocent people including women and children martyred or injured,” the governor of Khuzestan, Gholam-Reza Shariati told IRNA. Iranian officials have blamed Persian Gulf states and the United States for Saturday’s attack and accused them of backing the Arab separatist “al-Ahvaziya armed group”. 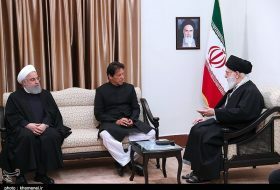 Leader of the Islamic Revolution Ayatollah Seyyed Ali Khamenei stated the terrorist attack in Ahvaz was the continuation of plots hatched by US stooges in the region to create insecurity in the country, noting that Iran’s intelligence services must swiftly find the accomplices of the “criminals” behind the attack and put them on trial. 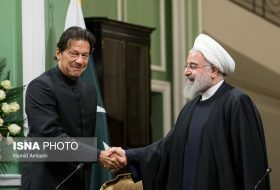 Iranian President Hassan Rouhani has said the Islamic Republic will give a “crushing” response to the slightest threat against the country. “Those who are providing these terrorists with propaganda and intelligence support must be held accountable,” Rouhani said. Foreign Minister Mohammad Javad Zarif says Iran will respond “swiftly and decisively” in defense of its people. He wrote on Twitter that “terrorists recruited, trained, armed & paid by a foreign regime” were responsible. “Iran holds regional terror sponsors and their US masters accountable,” Zarif said. A senior advisor to Iran’s Leader Ali Akbar Velayati condemned the attack as a criminal and cowardly act targeting the dignity of Islamic Republic of Iran. He said that Iranian people and Islamic Establishment have so far successfully thwarted the conspiracies of terrorist Takfiri groups, which are backed by the United States, the Israeli regime and their puppet regional allies, to divide the regional countries, vowing a vigorous response to their latest cowardly and heinous terrorist act. “At the onset of a glorious show of the Islamic Republic of Iran’s defense capabilities on the occasion of the beginning of the Sacred Defense Week, a number of decadent elements who enjoy the financial and propaganda support of some regional countries, in a blind terrorist act, opened fire on the innocent people present at the ceremony which led to the martyrdom and wounding of a group of our beloved compatriots,” he stated. 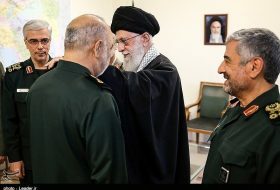 Islamic Revolution Guards Corps Deputy Commander for Political Affairs Brigadier General Yadollah Javani warned that the IRGC will give a crushing response to the terrorists and their supporters who masterminded the Saturday attacks. General Javani underscored that such crimes by enemies will further unite the Iranian nation. The United Nations Secretary General António Guterres in a statement on Saturday denounced the terrorist attack in the Iranian southwestern city of Ahvaz. “He expresses his condolences to the families of the victims and to the Government and people of Iran. He wishes those injured a speedy recovery,” the statement reads. Russian President Vladimir Putin in a message extended condolences on the occasion of a deadly terrorist attack, underlining developing cooperation in fighting terrorism between Iran and Russia. He also hoped for punishing all agents affiliated with the criminal and bloody attack. These attacks once again reminded us of the need to all-out fight against terrorism, the Kremlin message reads. 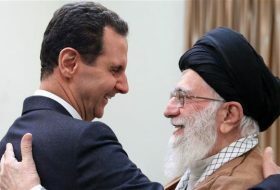 Syrian President Bashar al-Assad in a message to President Hassan Rouhani condemned Ahvaz terrorist attack and said that Syria is standing by Iran against terrorist moves. 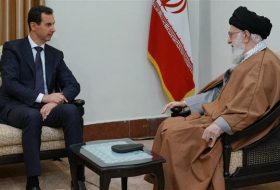 “I offer my heartfelt condolences to your Excellency and friendlyIranian nation over deaths of innocent people and we strongly condemn the terrorist crime and cowardly attack,” President Assad said. French Foreign Ministry in a statement expressed condolences over the deadly terrorist move. The country sympathized with victims of the incident, saying France is following up developments through its diplomatic mission in Tehran. The Spanish government in a statement posted on its Foreign Ministry website, condemned the terrorist attack, voicing its solidarity with the Iranian government and nation and extends its condolences to the bereaved families of the victims and wishes prompt recovery of the injured persons. 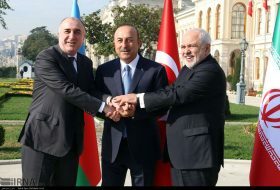 Defense Minister of Azerbaijan Republic Colonel General Zakir Hasanov in a message condemned the terrorist incident in Ahvaz and expressed his condolences to his Iranian counterpart Brigadier General Amir Hatami and Chief of Staff of Armed Forces Major General Mohammad Hossein Baqeri. 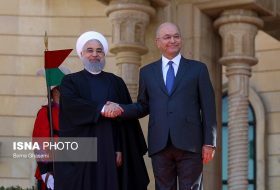 Belarusian President Aleksandr Lukashenko in a message to his Iranian counterpart condemned terrorist attack in Ahvaz and condoled the deaths of a number of civilians. Kuwaiti Emir Sheikh Sabah Al Ahmad Al Jaber Al Sabah in a message condemned the terrorist attack, extending condolences over the death of Iranian military forces and civilians. Meanwhile, the Crown Prince of Kuwait Nawaf Al-Ahmad Al-Jaber Al-Sabah and Kuwaiti Prime Minister Jaber Al-Mubarak Al-Hamad Al-Sabah in separate messages condoled with victims of the deadly attack. Speaker of the Kuwaiti National Assembly Marzouq Al-Ghanim, for his part, referred to the recent attack as terrorist act. Iraqi Interior Minister Qasim al-Araji condemned the terrorist incident, saying the attack which happened on the occasion of the anniversary of Iraqi dictator Saddam Hussein’s attack on Iran indicated the hostile nature of terrorists against the Muslim people of Iran. Hassan al-Kaabi, Iraqi Parliament’s first deputy speaker condemned the terror attack, expressing sorrow over the assult which claimed the lives of military men and civilians including children and women. Lebanon Assembly of Muslim Scholars comprising dozens of Shia and Sunni scholars of the country in a statement denounced terrorist attack in Ahvaz, describing it as one of the US plots to undermine Iran’s campaign for helping oppressed people. Lebanese Hezbollah in a statement slammed terrorist attack in southwestern Iran, saying it was a clear reaction to great victories achieved by the Axis of Resistance in various fronts. The Palestine Islamic Jihad Movement, denouncing the terrorist attack in southwestern Iran, said in a statement that such measures against the country are the result of Iran’s solid stance against the Zionist regime and its confrontation with US regional dominance. Venezuela President Nicolás Maduro in a statement sympathized with bereaved families of the victims of terror attack and said Venezuela is for other countries in the world in the idea that peace is the only way for humans. Spokesman for the US National Security Council, Garrett Marquis, reacted to Ahvaz terror incident by not condemning it, but by saying Iranian government should focus on keeping Iranians “safe at home”. While issued statements of condemnation of the terrorist attacks mostly include denouncing such strikes, Marquis refused to say a single word to show Washington’s denunciation of the attack. Instead, he chose to only sympathize with the Iranian people. In the same vein, the Spokesperson for the United States Department of State, Heather Nauert, offered a too-late statement, claiming they stand with the Iranian people. Moreover, the Western and Saudi media have refrained from terming the deadly attack in the Iranian city of Ahvaz a terrorist act despite the large number of civilian casualties in the incident.